A well love set of Coaster for happiness and joy. 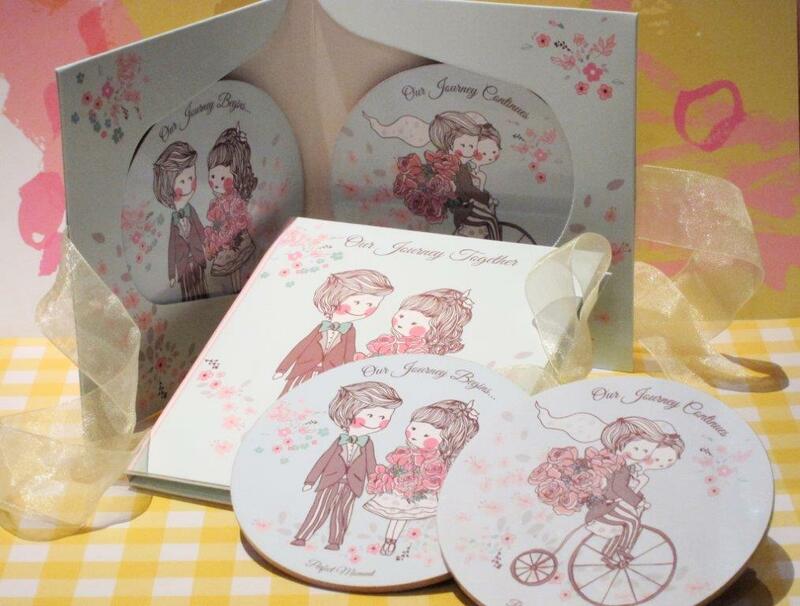 This set of 2 coaster depicts your love life .. one piece as 'Our Journey Begins' and the other 'Our Journey Continues' . Gift box design as book concept with the same theme print .. elegant feel. Price includes gift box with ribbon.